Students learn how Hernando Cortes conquered the Aztec empire, and they build a timeline of key events. 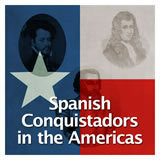 Then they read about Cortes and his legacy in New Spain. They discuss the impact of point of view when discussing historical events. In this experience, students learn how Hernando Cortes conquered the Aztec empire, and they build a timeline of key events. Then they read about Cortes and his legacy in New Spain. 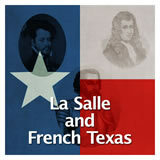 They discuss the impact of point of view when discussing historical events. 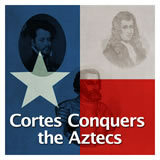 Point out to students that Cortes is known by three names: Hernan Cortes, Hernando Cortés, and Fernando Cortés, and sometimes his last name is written Cortez. 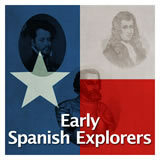 This experience uses Hernando Cortes, although it links to external resources that may use one of the other names. Describe the causes and effects of Cortes’s conquest of the Aztecs. When the Spanish conquistadors “discovered” the Americas, there were already many indigenous tribes living here. One group, the Aztec, had a mighty empire that is considered one of the great ancient civilizations. What do you think is being shown in the image above? The image shows a facsimile of the Boban calendar wheel, an Aztec pictorial calendar wheel. Scholars have dated it to 1545–46. The two figures shown in the calendar are said to be Hernándo Cortes and Don Antonio Pimentel Tlahuitoltzin, the ruler of the city of Texcoco. 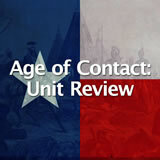 The Complete List of Learning Experiences in Age of Contact Unit.